It didn’t take long for a plan to take shape, even if it was an insane one. Kolbe emailed me the details and said there would be little time to prepare. The curse, he explained, had weakened only a little, and we had to do more to keep it from soaking in again. In the meantime, he had his own orders. Not too thrilled to share this news, but you will have to get ready sooner than later. A centipede has been mobilizing those in the Sedona area afflicted by the curse. He’s been at it over the last several days and got himself a small army of birds, insects, rodents and reptiles. This centipede is the guy I told you about. Jackie Sturgis has obviously gotten to him and let him know exactly where he can find you. The centipede, a criminally-minded drifter who goes by the nickname Baldy, has convinced the cursed ones that you are cause of the curse and that, to kill you, their problems will be solved. I’m sending over a few things you can use to lift the curse a bit more. Remember, you’re growing larger as the curse weakens, so you and Glenn will have that going in your favor. The others are growing as well, but slower than you. If you can fend them off, I will do what I can to shake off the effects completely. Use your strength, but try not hurt these poor folks too badly. Glenn gasped behind me and uttered a curse. I turned swiftly, ready to take on anything, only to see a rock pigeon land in the open window. It carried a small pouch, which it quickly set to opening with its small beak. 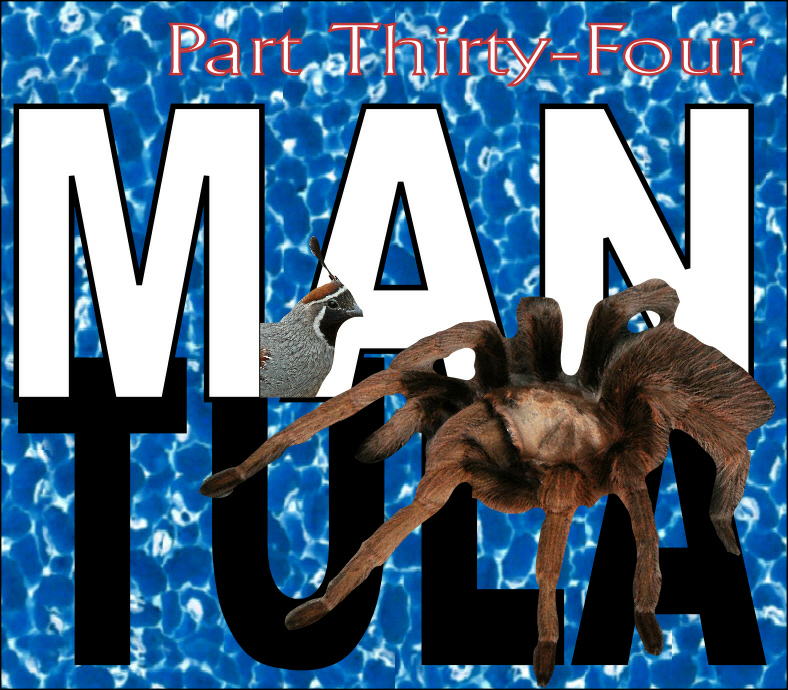 “F#cking Sh#t,” ManQuail uttered. 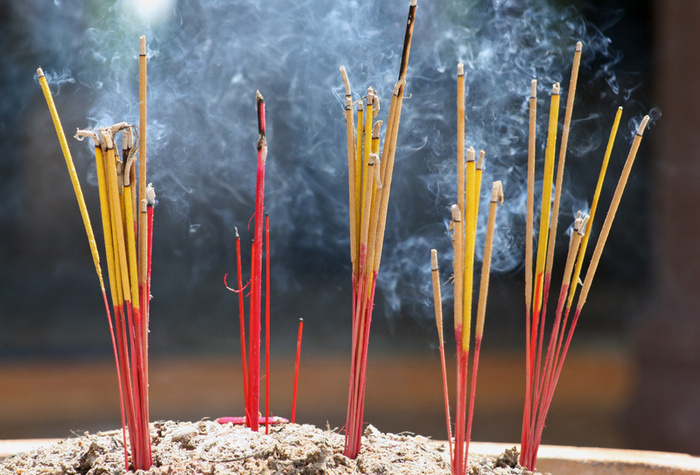 Inside the pouch were sticks of incense, a small black bowl and a black candle. Careful not to break anything, the pigeon set the items in the window sill, retrieved a small note from the pouch, which it set next to the other items, then flapped its wings and darted off into the morning sky without uttering another word. “I think those are from Saint Kolbe,” I told Glenn. He’d already flapped over to the window to retrieve the items. He brought the note to me first, which I opened. Inside were instructions from Kolbe. The guy didn’t waste any time. I thanked Glenn and told him to put the rest of the stuff next to me on the kitchen table while I scanned through the note. Have Glenn burn the incense throughout the apartment. It will help cleanse the place. Dymphna and I are getting ready head over to your lady’s house. This is where Jackie died, where she made her curse, and where she appears the most. We’ll do our best to set her soul to rest there. Your apartment is already surrounded, so do what you can there. Here are the instructions for the bowl and the candle. Affix the candle to the inside of the bowl by melting some of the wax to hold it in place. Fill the bowl with water. Meditate on the curse, think hard about it, and light the candle. Continue to focus on the curse as much as possible until the candle is melted and the water puts out the flame. That and the incense should help immensely. When the candle goes out, dig a hole outside, and pour the water into it. Put the candle into it and cover it back up again. That’s it. Good luck with all of that. After reading the note, I went to the window. Sure enough, I spied a small congregation of the cursed outside by the pine trees that lined the edge of the apartment property. There were a few quails under the base of one of the trees, standing next to a handful of scraggly-looking rats and mice. Lizards and a few slithering snakes moved around in the shadows as well. Among them, I made out a giant centipede. It appeared to be scanning the apartments, probably looking for one that looked like a tarantula and a quail lived inside. This large insect, this “Mantipede,” has to be the one who hated me. I ducked back inside the apartment and hoped no one saw me.